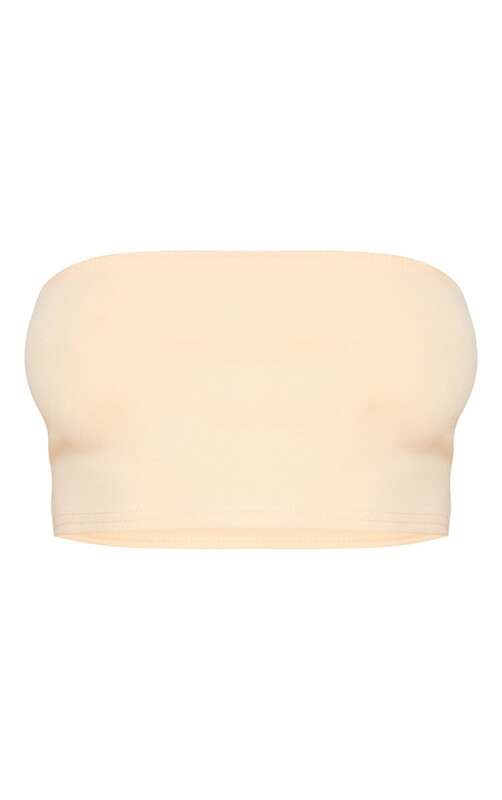 Give your everyday look an edge with this cute but simple crop top. Featuring a peach crepe fabric with a flattering bandeau neckline and a cropped length, we are obsessed. Style with a figure-skimming midi skirt and clear, heeled mules for a look we're loving.